All organizations need to spend time focusing on nonprofit strategic planning. Strategic planning for nonprofit organizations helps guide an organization and keep the organization focused on what the core purpose and beliefs of the of the organization. In strategic planning for nonprofit organizations, the third question is better phrased “How can we beat or avoid competition?” (Bradford and Duncan, page 1). It is also true that strategic planning may be a tool for effectively plotting the direction of a company; however, strategic planning itself cannot foretell exactly how the market will evolve and what issues will surface in the coming days in order to plan your organizational strategy. Therefore, strategic innovation and tinkering with the ‘strategic plan’ have to be a cornerstone strategy for an organization to survive the turbulent business climate. The preparatory phase of a business plan relies on planning. The first chapters of a business plan include Analysis of the Current Situation and Marketing Plan Strategy and Objectives. 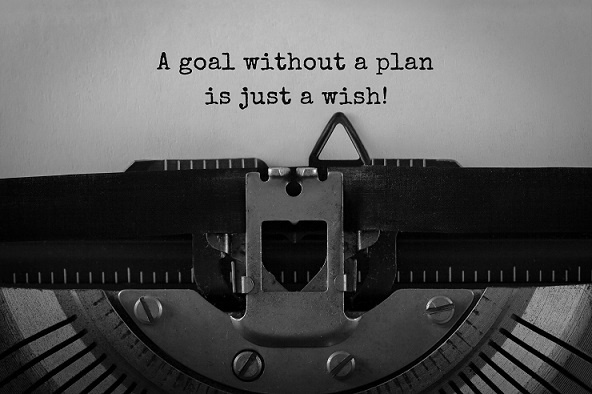 By following these steps and setting specific goals and objectives your strategic plan will help your organization focus on your core purpose, current objectives and future objectives. By having one concise document outlining all of these important facets of your organization you will be able to ensure that your organization does not drift off track your purpose and goals. So if your organization has not yet thought about nonprofit strategic planning follow the steps and outline to help you ensure your organization’s success. If you think your organization might benefit from having a strategic plan but still have questions schedule your Free Consultation with one of our Nonprofit Experts today.